Comments: Must have well drained soils and kept dry during the winter. A clustering cultivar, forming sprawling clumps to 20 inches or more across. 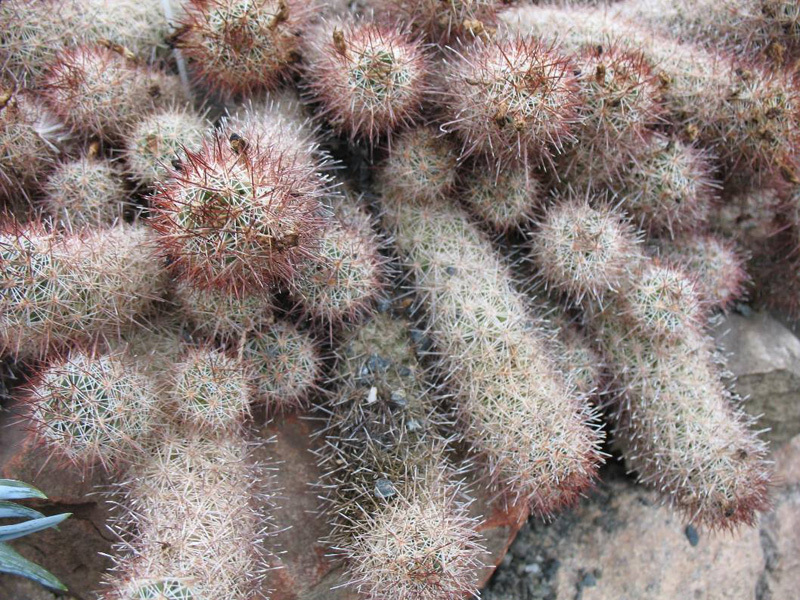 In spring bright pink flowers appear on the thick stems which have a dense covering of gray and black spines.